So it’s 2014. I’ve only just realised that spending Christmas and New Year’s Eve in Canberra, my hometown, is quite a novelty for me. NYE fireworks over Lake Burley Griffin, Canberra. NYE was a quiet one – after seeing the 9pm local fireworks with my sister, we went to hang out with a few church friends. We watched the ABC telecast of the Sydney show, played board games, ate and shared a few drinks. One of my friends asked me why I wasn’t spending NYE with my other friends. The truth is this was the first time I didn’t have any plans for the evening. For a brief moment, I was thinking, Oh my goodness I have no friends. I told her that usually there would inevitably be some house party at some friend’s place, but now most of my closest friends were either no longer Canberra-based or not in town at the moment. She said that’s what happens when you go away for two years. So I think the word usually – usually I go to a house party – is incorrect when I’ve only been in town at this time of year twice in the last nine years and I would only have been old enough to have independent NYE plans since about 2000 or later. In 2005-06, I was flying back from Europe with my family on Christmas Day. In 2007-08, we were flying out of Turkey on Christmas Day and spent NYE in Malaysia. In 2008-09, my sister and I had Christmas with staff members in Central Java. 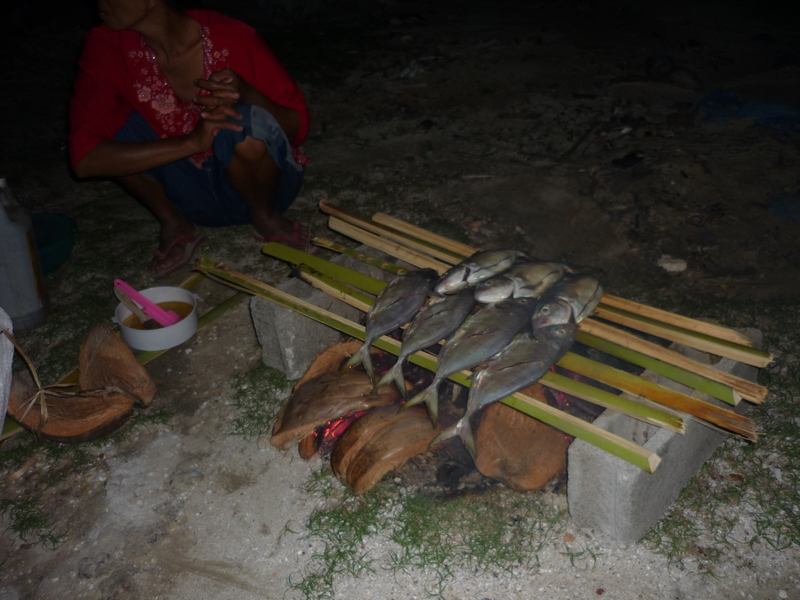 Then took a break from the internship and welcomed in the New Year on a remote island in Indonesia, eating campfire-roasted fish with some other travellers. 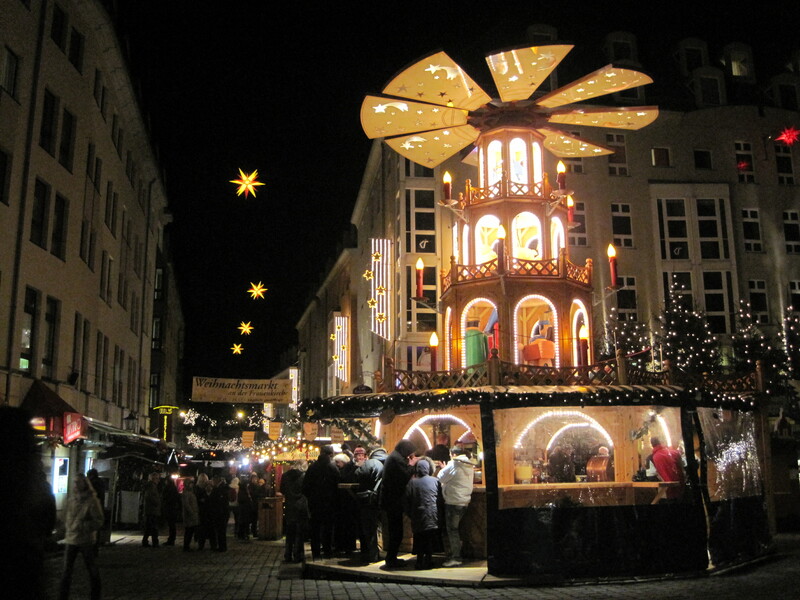 In 2009-10, we were backpacking around Europe, spending (a sludgey but almost white) Christmas in Berlin and Dresden amongst the German Christmas markets. On NYE, we did the countdown and saw the fireworks from the Chain Bridge in a rainy Budapest, met some random English tourists and sang “Eye of the Tiger” at an Irish pub. 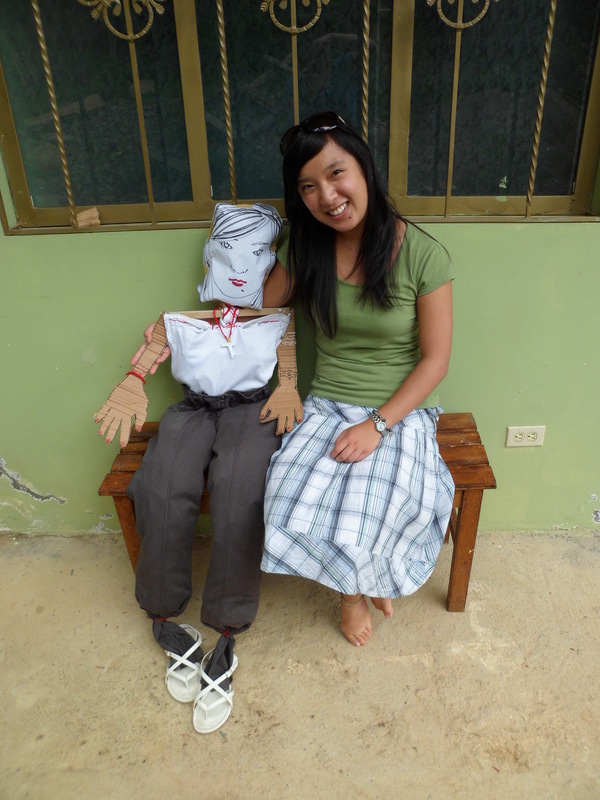 In 2011-12, I had a quiet Christmas (and slightly awkward) dinner with my homestay’s family in Loja. 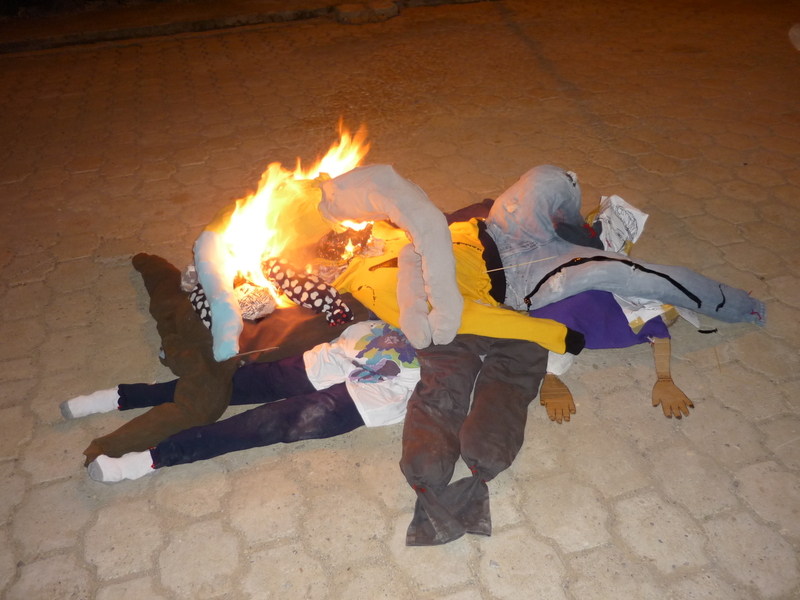 I stayed in Gonzanamá for NYE, making muñecos (home-made dummies dressed in our old clothes, which we whipped, jumped all over and set on fire at midnight) with another family from church in Gonzanamá, then heading up the road to dance at the official municipal street party. Setting fire to our muñecos. This was after whipping them and stomping on them, and before leaping over the burning mound. 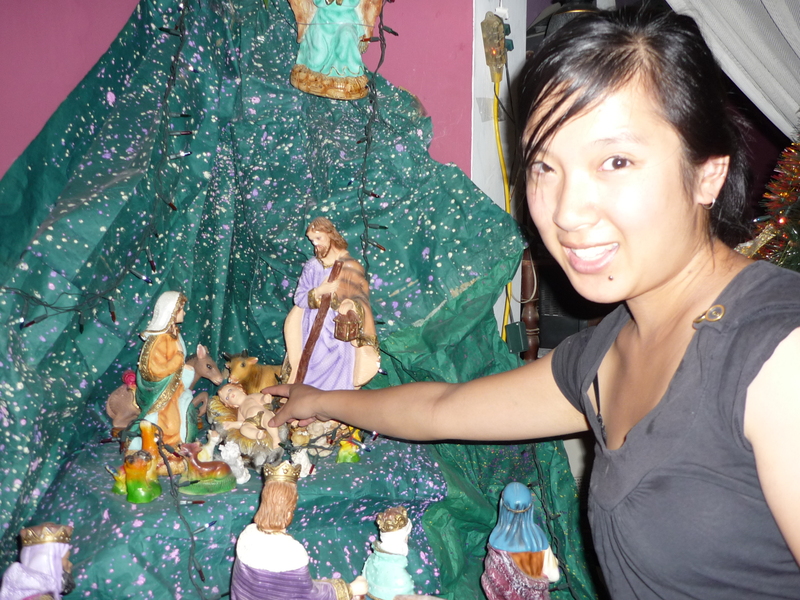 In 2012-13, I was in Peru with my housemates’ family over Christmas where we enjoyed a feast of turkey and dessert wine and I got to put the baby Jesus in the nativity. Then I was in Quito with a friend’s family for NYE, driving through the city and getting stopped by transvestites in the street (an Ecuadorian tradition – men and boys dress up as viudas/”widows” and ask drivers for money). What this means is that usually I’m overseas. My friends would say this is typical of me, given I’m such a jet-setter. I think it’s not really that strange, given most of Canberra leaves town over Christmas and the New Year, migrating to the coast or further afield. My parents, for example, are in Canada. The fact that spending this summer holiday period at home is a novelty for me and my circles is indicative of our affluence. Most of the rest of the world would think it a crazy luxury to travel for leisure, and those working abroad to support their families would consider themselves blessed to be able to go home to have Christmas with their families. Travel is such an entrenched part of the culture of middle-class Australia – and of my own life trajectory – but I have to be careful of how I talk about it with those who do not enjoy the same liberties. As the holiday season comes to an end, I should be grateful for the privilege, the novelty, of enjoying a Christmas and NYE in my hometown – with brothers and sisters from church who have welcomed me into their homes to celebrate with their families. Previous Previous post: The end of the honeymoon period?